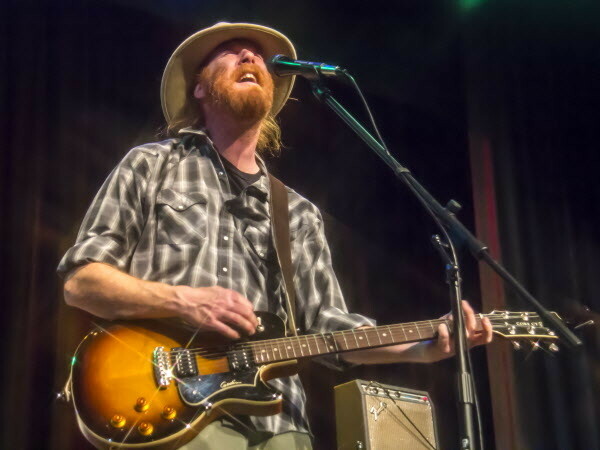 Will Mallett of the Mallett Brothers Band perform their new album “The Falling of the Pine" at Stearns High School in Millinocket last Saturday. The album evolved from an encounter with the book “Minstrelsy of Maine: Folk Songs and Ballads of the Woods and the Coast,” and is comprised from lyrics from the book, set to newly arranged music. Wally Wenzel of the Mallett Brothers Band perform their new album “The Falling of the Pine" at Stearns High School in Millinocket last Saturday. The album evolved from an encounter with the book “Minstrelsy of Maine: Folk Songs and Ballads of the Woods and the Coast,” and is comprised from lyrics from the book, set to newly arranged music. 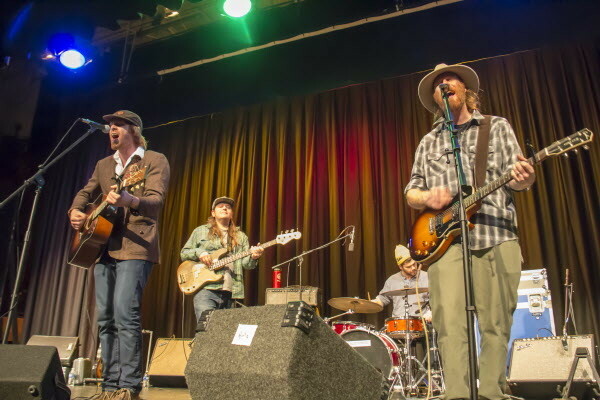 Will Mallett (from left), Nick Leen, Chuck Gagne and Luke Mallett of the Mallett Brothers Band perform their new album “The Falling of the Pine" at Stearns High School in Millinocket last Saturday. 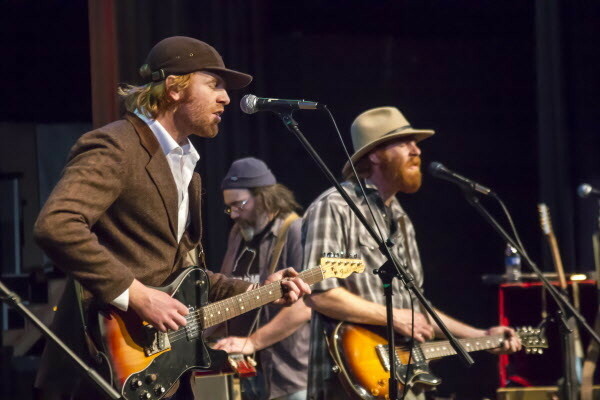 Will (left), Wally (center) and Luke Mallet of the Mallett Brothers Band perform their new album “The Falling of the Pine" at Stearns High School in Millinocket last Saturday. The album evolved from an encounter with the book “Minstrelsy of Maine: Folk Songs and Ballads of the Woods and the Coast,” and is comprised from lyrics from the book, set to newly arranged music. Luke Mallett of the Mallett Brothers Band perform their new album “The Falling of the Pine" at Stearns High School in Millinocket last Saturday. The album evolved from an encounter with the book “Minstrelsy of Maine: Folk Songs and Ballads of the Woods and the Coast,” and is comprised from lyrics from the book, set to newly arranged music. Whenever brothers Will and Luke Mallett head back to their hometown of Sebec from their current home of Portland, they inevitably begin pawing through their parents’ huge collection of books and records. Their mother Jayne is the librarian for the Piscataquis Community Secondary School; their father is acclaimed folk songwriter David Mallett. Two years ago, Will Mallett was idly browsing through their books on Maine. One book in particular caught his eye; “Minstrelsy of Maine: Folk Songs and Ballads of the Woods and the Coast,” by Fannie Hardy Eckstorm and Mary Winslow Smyth, a long out-of-print collection of song lyrics and folkloric scholarship. The songs tell the stories of lumbermen, sailors, families and explorers of the woods and waters of Maine, living and dying in the 19th and early 20th centuries. Will Mallett blew the dust off the cover of the antique book, published in 1927, and opened it to a random page. From that first initial encounter with the book came the fertile musical ground that led to “The Falling of the Pine,” the band’s warm, heartfelt, often very beautiful new album, comprised of 10 of the lyrics from the book, set to newly arranged music. Most of the songs in the book were simply lyrics, no music, though a few of the songs, like the title track, are relatively well-known folk songs — title track “The Falling of the Pine” is one of the oldest known songs from the lumber camp tradition, dating back to the 1870s and coming to Maine from Ontario, Canada. Will Mallett, in addition to being a musician, is a bit of a history buff, and found the confluence of music and Maine history to be a compelling basis for a new album. Though initially Will Mallett thought he might record the songs for a solo album, the rest of the band jumped on board once he showed them the book. Both Mallett brothers and fellow bandmates Wally Wenzel (guitar, dobro and the band’s producer), Adam Cogswell (drums), Nick Leen (bass) and newcomer Andrew Martelle (fiddle and mandolin) dove into the kind of musical anthropology such a project entails. Will Mallett read books by Maine folklorist Sandy Ives (who their mother, Jayne, worked with for a time at the University of Maine), and all bandmates listening to recordings of traditional American folk music from the first half of the 20th century. The bandmates learned about the history and social context behind the songs, and then set those words to music appropriate to the era they came from — while still maintaining the Mallett Brothers Band sound. On the band’s four previous albums, including their most recent, 2015’s “Lights Along the River,” their music blends hard-driving roots rock with soulful outlaw country, with a few acoustic indie folk numbers peppered in between the big, loud rave-ups. 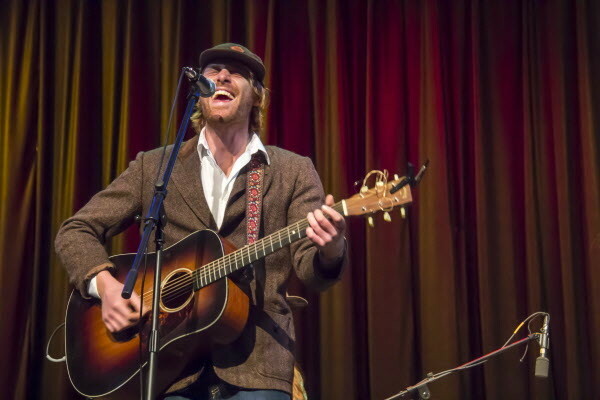 Most of the album is composed of simple, stripped down folk music, like “Lake Chemo,” a duet between the brothers and their sister, Molly, and “The Logger’s Boast,” on which David Mallett takes lead vocals. That aforementioned first line Will Mallett came across in the book is in the fourth track on the album, “Ye Roaring Falls of Kingsey,” a song about three river drivers on the Penobscot — two lost in the water, one who lived to tell the tale. “The Loss of the Sarah,” a maritime ballad about a shipwreck on the coast of Maine, is among the prettiest things the Malletts have yet put to record; though lyrically and melodically the song hails from somewhere in the 19th century, Wenzel and Luke Mallett’s atmospheric electric guitar playing brings that story into 2017. Unlike previous Mallett Brothers Band albums, the band felt no pressure to get the album finished and recorded. In between a rigorous touring schedule that regularly takes the band as far as Texas, the band spent more than a year arranging and recording them in Wenzel’s studio in their rehearsal space in Portland. The relaxed attitude and sense of creative freedom imbues the album with a thoughtful, meditative feeling. Will Mallett was struck by the way in which the songs revealed the inner lives of the men and women who lived and worked on Maine’s frontier. For a few weeks around the release of “The Falling of the Pine,” the band is playing shows in small Maine towns, including shows in Caribou and at Stearns High School in Millinocket last weekend, and more to come in Gardiner, Carrabassett Valley, Rangeley and Unity, before the band heads out to tour the rest of the Northeast. Playing these songs live, that evoke Maine so strongly, is special for all the bandmates — especially in towns like Millinocket, that have a history so intimately tied to Maine’s lumber industry. 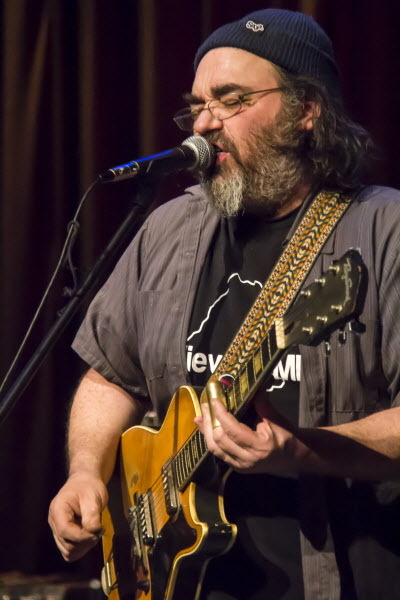 Will Mallett believes the songs speak to something unique about Maine’s identity. “The Falling of the Pine” is available to buy on iTunes and Amazon, and to stream on Spotify, as well as at Bull Moose Music stores. The next Mallett Brothers Band shows in Maine are Feb. 10 at Johnson Hall in Gardiner, and Feb. 11 at The Rack in Carrabassett Valley.